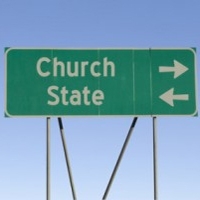 Every government on earth has its own approach to religion. Some see it as a partner, others see it as a threat. Some choose official faiths, others scorn that idea. We'll go to 14 nations around the world, meeting people whose lives have been shaped by the ways their countries balance religion and state. Hurd. We're supported by the Henry R. Luce Initiative on Religion and International Affairs. Uganda is considering a law that won’t just criminalize being gay--it will require citizens to report the names of anyone they suspect of homosexual activity. Among the bill’s most active supporters are Christian churches, which are deeply woven into the social and political fabric of Ugandan society. We begin in the capital city of Kampala, where the debate has led citizens to think about just how much their government should be legislating morality. Kimberly Adams reports. Musician James Makubuya grew up in Uganda as a devout Catholic. Though he was encouraged to study Western musical instruments, he insisted on learning traditional African harps and drums, and when got older, he pushed to integrate traditional instruments into Catholic services. He sat down in the studio with one of his favorite instruments--a harp called an Adungu--to play some sacred songs. Life is hard for many of China's religious minorities, where the government is arresting Tibetan Buddhist monks, ordering churches to take down their crosses, banning Muslim head scarves and sending members of Falun Gong to prison. Yet the officially atheist government, which once destroyed temples and jailed religious leaders, is promoting -- and sometimes even funding -- a resurgence of Chinese Buddhism. We begin in Shanghai, with a story from producer Ruth Morris. Grammy-nominated artist Wu Man is a master of the pipa, a pear-shaped lute that has survived in China for some 2,000 years. She learned to play it during China's Cultural Revolution, a time when the government actively rejected religious expression. She joins us to reflect on the Buddhism of her grandmother and to play her beloved pipa live in our studios.. This week, Maureen is back from her travels to Lebanon for the latest in our God and Government series. We'll meet a host of people whose lives have been shaped by the country's close connection between religion and state, including the first couple to officially marry in a non-religious ceremony; the archbishop of Beirut, who uses his religious clout to help citizens find government jobs; and a woman in Beirut who relies on the militant Muslim group Hezbollah to keep her lights on.